PARACLETE Records proudly presents Carolyn’s newest release “Chrysalis“. 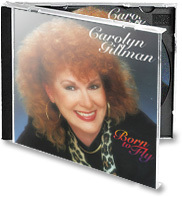 Carolyn’s latest CD brings us yet another fresh, creative, inspirational, worshipful, well produced, Word packed package that will carry the soul from joy and laughter on the 2nd cut, “Joy,” into an ethereal realm of “Heavenly Places” with the outstanding choral presentation on the last cut, “Shine Like The Stars“. 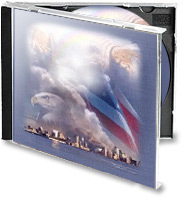 In the same fresh venue of her last CD, “Born To Fly” (see comments from DJ’s and listeners), the third cut, “The Eagle” is reminiscent of the very much requested, “He Covers Me” from that CD. 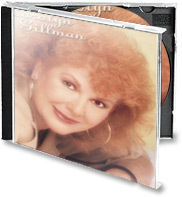 It is evident Carolyn’s greatest inspiration for her lyrics is the Word and her many musical influences are delightfully showcased on her new CD, “Chrysalis,” keeping the listener not only tuned in spiritually on her musical journey, but also enjoying the ride! But for now, there is a growing, a changing, a nurturing that’s taking place as we wait inside this “cocoon” of flesh. 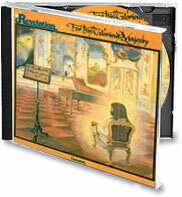 It is my prayer that this collection of songs, (some of them taken almost word for word from His Word written thousands of years ago and yet, still as powerful today as when first penned) will help you as you wait, bringing you into that “Presence” encouraging, challenging, changing, and ever helping you on this incredible journey toward that final perfection when even those “asleep” in the graves shall hear His voice and “at once we shall be changed, “breaking free, both body and spirit, to fly away!